Measures 48" high with 27" diameter. 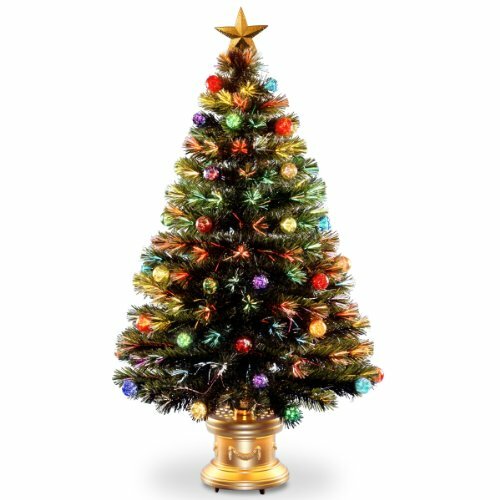 Trimmed with lighted multicolor ball ornaments. Single bulb operation from base. Super bright array of ever-changing lights. Gold column base and top star. For indoor display only.